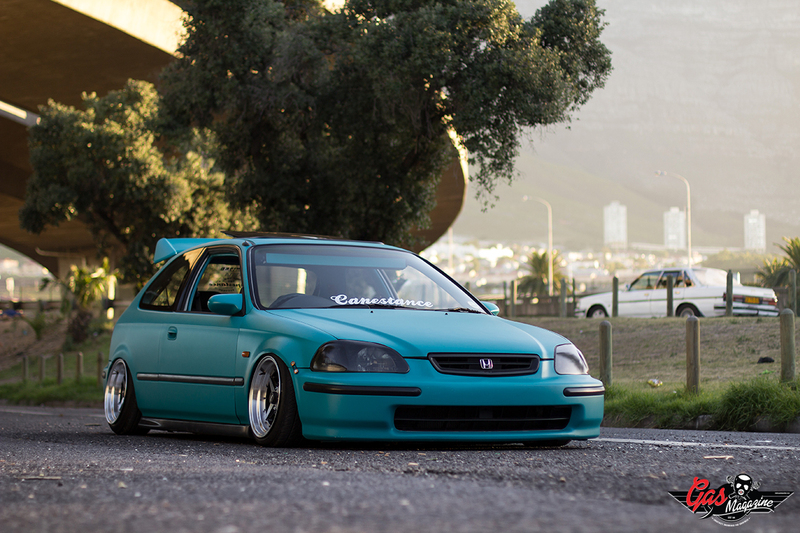 When I first heard about Flippie’s Civic it was when Capestance featured it on their blog. Back then it was silver. Since then it has been through 2 more re-sprays. The second part of this feature showcases the fresh new paint and killer new wheels Flippie fitted for the Rides and Vibes Show. Now Flippie didn’t have to go through the time and effort to get a whole new paint job and rims but he did anyway. His passion for the scene and keeping Katy fresh is what drives his dedication to stand out from the rest and we truly commend him for all his effort. The current look is a deep chocolate brown with gold plated 16″ BBS RS style rims wrapped in super skinny Nankangs. 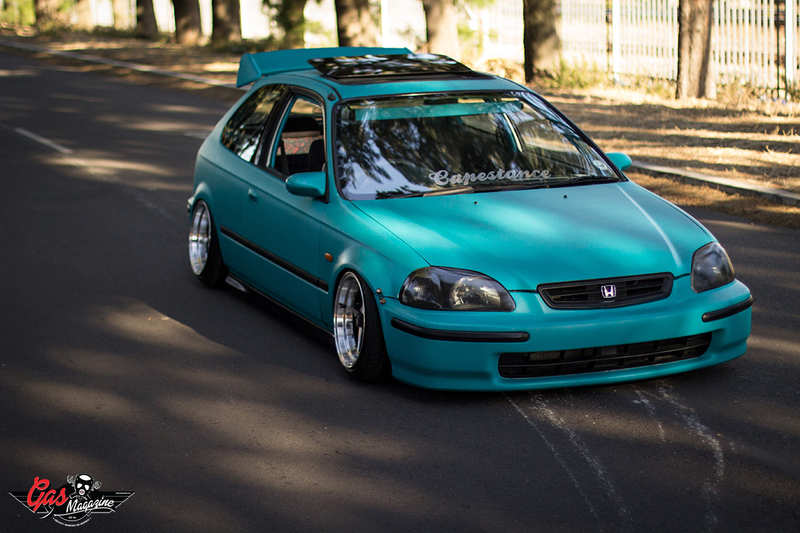 I had the opportunity to shoot Flippie’s Civic when it was sprayed turquoise for the King of Slam V2 show. It created so many arguments. People couldn’t agree whether it was plastidipped or sprayed. Flippie doesn’t play games when it comes to keeping it fresh and completely “flipping the scene” so it obviously was a full re-spray. Flippie has had the civic over a year now and is loving everyday of it. He says his choice was either speed or the low life. 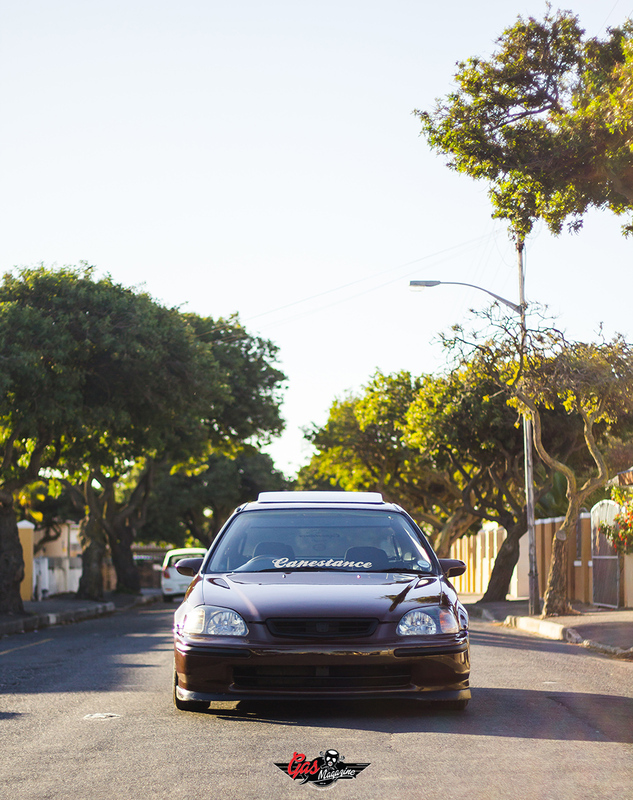 He opted for the low life as he likes the look of slammed cars and enjoys cruising the streets of Cape Town, I mean who wouldn’t in his civic! 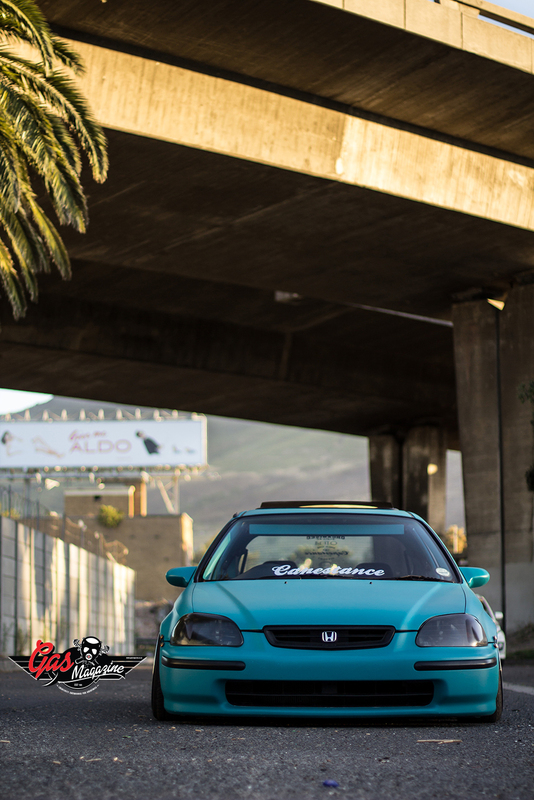 Flippie has put a lot of time and dedication into the civic and you can really see that in the car. Since having the car Flippie has broken off 4 exhausts and has now tucked it away to eradicate the problem. He achieves his mind boggling lows with the Buddyclub Rear camber kit and Megan Racing Sleeve overs with shortened shocks. 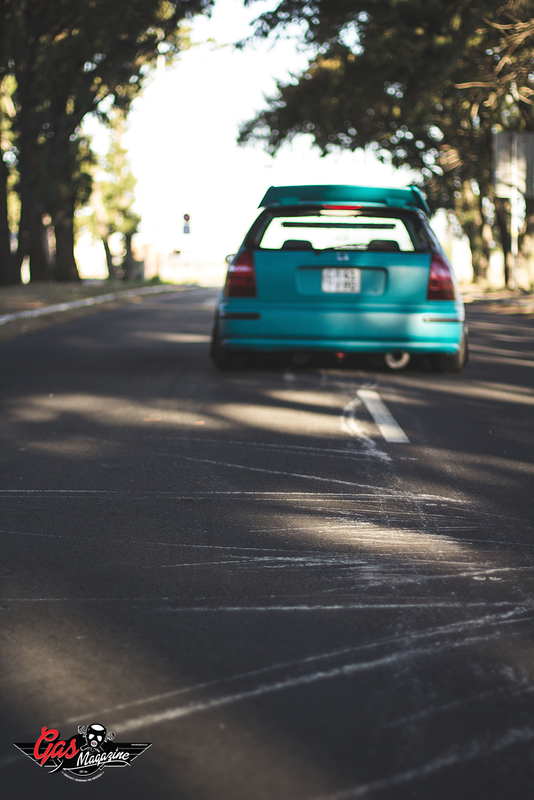 In this feature he is rolling on a set of 8j front and 9j rear equips with a 0 offset. Running 165/50R15 ferenza tyres on the 8j and 175/50R15 Hankook tyres on the 9j. The interior of the car is still stock with subtle touched like the extended gear shifter and rally style review mirror. On the i.c.e side of things he is running a 1200w Sony Explode 4 channel amplifier and a 1000w Sony Explode sub with x4 JVC 600w splits. JVC head unit. . 1200w Sony Explode 4 channel amplifier and a 1000w Sony Explode sub with x4 JVC 600w splits. A few other personal touches include Spoon covers to cover the Brake fluid bottles. To prevent overheating on the motor he has fitted the Buddyclub Type B radiator cap just to be safe. He has changed the Headlights to a CTR look and connected his ambers to shine to complete the headlights. On the front bumper he has the JDM Quick release kit. He has made the rear lights completely red and fitted the triangle F1 racing brake light. He has also fitted the Electric Spoon mirrors, a Type R Seeker rear wing and a large Sunroof. Flippie is definitely a big player in the South African scene! Keep your eyes peeled on what he might do next!